A popular Chesterfield man who ‘made everybody laugh’ died of a heart attack in his work van at the age of just 54. Paul Calladine, who ran his own plumbing and heating company and had lived in the town for the last two decades of his life, pulled over in his van when he felt pains in his chest. He died instantly on January 10, leaving behind five children and his partner Lindsay Mott. 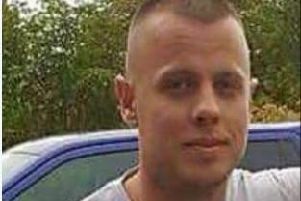 His cousin Adam Johnson, who grew up with Mr Calladine said he was ‘like a brother’ and was ‘in shock’ when he heard the news. The 55-year-old said: “His ex-wife is friends with my wife, so that’s how I heard the devastating news. “It was hard to digest the information. I sat at the top of the garden, just in shock. Mr Calladine worked on the railways in the early 1980s before training in the plumbing and heating trade. He started his own business, DHC Heating, in 2000, with his son Adam. During his time in the business his cousin said he mixed with a wide network of tradesmen. Mr Johnson, from Hilton, said: “He was a popular guy - it was just his very bubbly personality. He made everybody laugh. “He knew all the plumbers in Derby from all the events and training days. Mr Johnson said his cousin was so skillful at repairing boilers that he taught “four or five guys” who went into the industry because of his training. Mr Calladine grew up in Mackworth, Derbybut his mother died when he was a teenager. He then moved in with his cousin, Mr Johnson, and his family, in the nearby Marylebone Crescent. Mr Johnson said: “When his mum died in the 1970s he came to live with us for a few years. He became like a brother. He later moved into his first house, in Mackworth, where he lived with his wife Debbie. In the early 2000s Mr Calladine split with his wife, with whom he had two children called Sam and Adam, and moved to Chesterfield. He met his partner Lindsay Mott and went on to have three children with her - Elise, Willow and Myla. Almost 300 people attended Mr Calladine’s funeral on Monday, which took place at the All Saints’ Church, in Mackworth.